William is responsible for ensuring Aurora’s smooth running and continuing growth: he heads our management team and is responsible for the company’s day to day management, finances, key client accounts and developing new business. He is also very involved in staff recruitment and Health & Safety throughout the company. William joined us three years’ ago from another large City based cleaning company, where he managed a broad portfolio of clients, both large and small. With more than 10 years’ experience in the industry, William’s expertise and knowledge continue to be an integral part of our ongoing success. 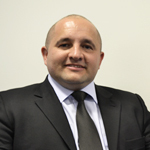 As Area Manager, Diego has overall responsibility for all activities, clients and locations in London, Milton Keynes and Reading. In addition to managing the business on a daily basis, he is heavily involved in staff training (both for new recruits and our existing teams) and ensures that we provide a consistently excellent service for every client. 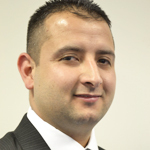 With more than five years’ experience in the cleaning industry, Diego bring considerable practical skills and expertise to his role. Diego was recruited by William to join Aurora just over two years ago – having worked with William for more than five years at their previous company. 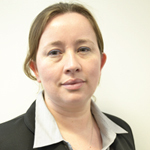 Olga is responsible for all aspects of our office management: paperwork, admin, finances, Human Resources and recruitment. With considerable office management experience gained in other organisations, she ensures that all aspects of our business operate smoothly and very effectively. In addition to handling recruitment, Olga is also very actively involved in training for all our staff: this includes customer services, environmental, Health & Safety training, as well as career development and management training. 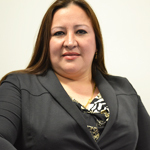 Liliana is our most recent addition to our management team. She is responsible for all aspects of client service and the smooth running of all our contracts within London based business centres. This covers contract management, quality and service levels, as well as ongoing staff training and recruitment. Liliana’s brings a wealth of experience to her role; having worked in similar positions for several London based cleaning organisations over the past five years.